This GROUND floor unit features 2 bedrooms and 2 baths at the much sought after waterfront property of the Grand Venezia at Baywatch. 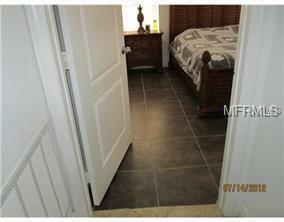 Beautiful tile flooring is throughout the 1,140 sq. ft. condo. 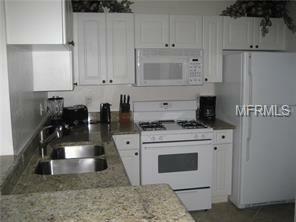 The kitchen has granite counter tops, backsplash, & newer refrigerator & dishwasher. The living/dining combo makes for easy entertaining. The "imagination" area can be used as a play area, office space, or extending living area. The open parking is just steps away from your front door. The resort style community amenities include a geo-thermal heated pool/spa, redwood sauna, lighted tennis courts & playground. Free car wash area with air, vacuum & water. The updated fitness center is available 24/7. Enjoy walking or jogging the 1.5 mile paved lighted promenade. Take your personal computer to the 24-hour business center with free Wi-Fi. Charcoal BBQ grills are located behind each building. The sparkling pool and clubhouse are adjacent from Building 7. The attended guard pavilion is 24/7. Don't wait to own your piece of a Paradise enclave with lush tropical landscaping and Tampa Bay waters just steps away. 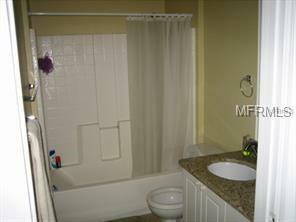 Additional Lease Restrictions 30 Day Minimum Rental Period Per Condo Docs. Pet Restrictions Breed Restrictions. One Pet Per Unit.